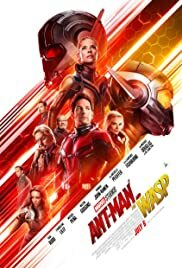 Ant-Man and the Wasp Review – Reviews Downloads and More! A sequel to the Ant-Man movie. Scott Lang(Ant-Man) tries to balance being a hero and a father. Hope van Dyne and Dr. Hank Pym seek the help of Scott to hopefully find Hope’s mother Janet Van Dyne in the quatum world. Meanwhile, they have to deal with Ava(Ghost) who is wanting to drain from her so she can hopefully be cured of her phasing sickness. This is an action packed movie. It has quite a few good laughs as well. If you enjoyed the first Ant-Man movie check this one out it is a fun filled action loaded sequel.